Our Topic This Week: We dive into and discuss all the major Podcast Listening Apps and platforms. 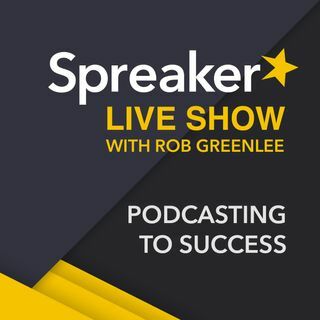 This is another new "Spreaker How-To" episode with co-host Alex Exum @AlexExum and he is based in LA and hosts "The Exum Experience" and the "Spreaker Studio Review" show. Rob - I hope everything is well. I heard your Microphone episode today and would like to add some comments and additional relevant data to the valuable information you already presented. Everything you said about dynamic versus condenser microphones is absolutely true. However, each time you apparently were trying to say the word “cardioid”, it sounded to me as if you were saying the word “cardio”. They are similar words and both are connected with the English word “heart”. With physical exercise, we talk about cardio (as in cardiovascular) and with microphones, we talk about cardioid. I must further clarify that cardioid (with microphones) is a type of a heart-shaped pickup pattern which is somewhat directional. Cardioid patterns exist with both condenser and dynamic microphones. In fact, each dynamic microphone you mentioned on the show today has a cardioid pattern, including the ATR2100 and the SM7B. The AT2005USB (which is the black version of the ATR2100, and I currently own a couple of AT2005USB) also has a cardioid pattern. The main microphone I currently use in my studio is a BP40 (also dynamic and from Audio-Technica, which I reviewed here) has a supercardioid pattern, which means that it rejects sounds from the sides even more than a typical cardioid pattern, but also means that the person speaking into it must be that more careful to be on-mic as opposed to off-mic. I like the sound of both the BP40 and the SM7B. Both the BP40 that I use and the SM7B that you use are black in color, which I happen to like. - Overcast iOS listening app - To add a podcast to the directory search, add its URL manually to an Overcast account. If it’s also in iTunes, it will show up within a day. This show was extremely helpful being that I started a new Podcast show last month. Thanks! I would love to be able to schedule a streaming podcast! Especially from the app.